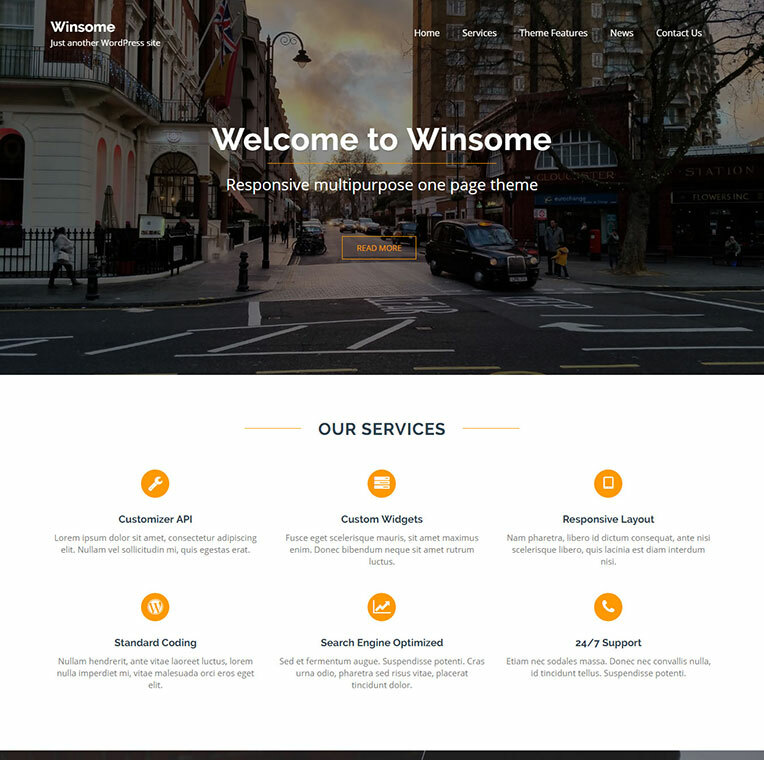 Winsome is one-page parallax scrolling multi-purpose theme. It is the best and suitable theme for business, corporate, informative, agencies, travel, design, art, personal and any other creative websites. It features multiple sections on the front page including favicon, logo and custom widgets. In addition, multiple navigations, address bar, business hours, social menus, and customizer are available to customize them easily. In conclusion, this theme performs really well, in both Single Page and Multi-Page scenarios. Demo previews are available for both styles.